I made it to Maine! But first, a little about the Whites. 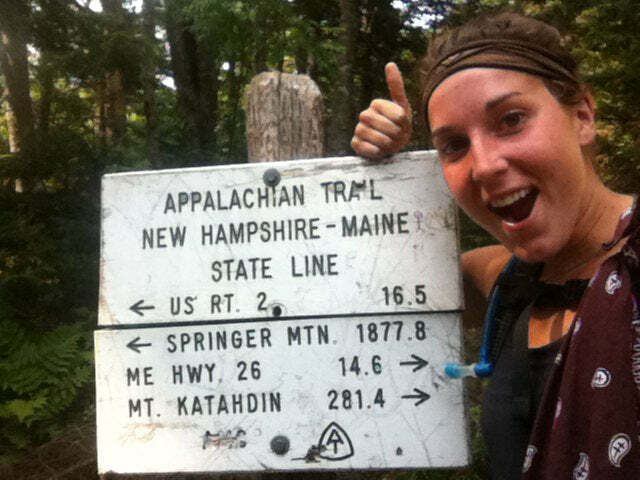 I entered the Whites July 11, doing 18 miles over Mt Moosilauke with Porter, Pace, Toto, Crop Duster and Dreamwalker. The view was gorgeous, but the climb down was a bit treacherous. The next morning, the Whites lived up to their name and the mountains were capped with fog. We stopped into Lonesome Lake Hut for free leftover pancakes that made a grim day look brighter. We then hiked into North Woodstock to resupply our Hyperlite Mountain Gear Windriders, and pushed back onto the trail. I stealth camped above 4,000’ in my Echo I Shelter just below Mt Lincoln. 5:00AM came early as we headed into more fog. After three bowls of split pea soup at Galehead Hut, things were clearing up. Crop Duster and I stayed at Zealand Hut and did work for stay. We got to sleep in the warm hut and eat leftovers in exchange for 30 minutes of cleaning. We did feel a bit like dogs as we waited on the porch while the real guests ate dinner; sleeping under the tables didn’t help the feeling either. The following night I stayed at Lakes of the Clouds Hut in the Refugee Room, for emergency use only. I was the first and only person at the summit at 6:45AM the next morning. Crop, Spike and The Maine Boys followed. It was a gorgeous day, but windy at the top. 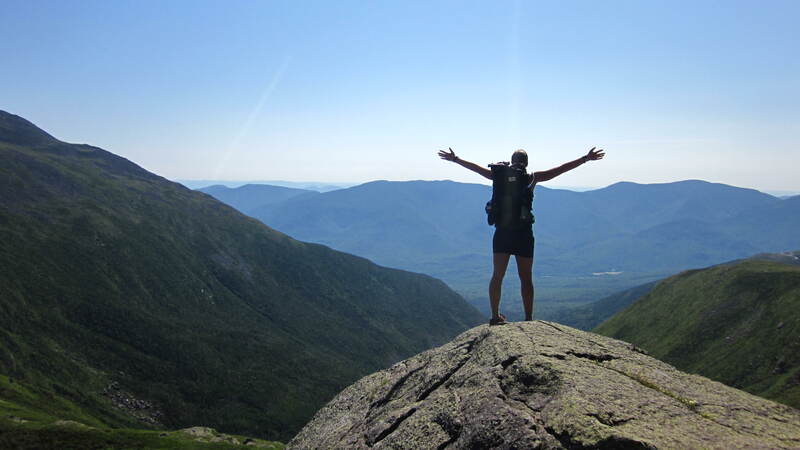 We ran the ridge down to Pinkham Notch, and with tummies full of trail magic, we climbed up and camped atop of Wildcat Mountain. After some R&R in Gorham, I pushed out and crossed the Maine border! It felt so good! Mahoosuc Notch was really fun and I got to work on my flexibility bending around and under boulders. I saw a moose, and many beautiful ponds (I can’t wait to jump in one!) I’m staying in Rangeley with my parents tonight and am hoping to summit Katahdin August 4th! The post Deva Makes it to Maine with her Ultralight Windrider and Echo Shelter appeared first on Hyperlite Mountain Gear Blog.